Women have always been on the cutting edge of technology, and have always participated in “digital transformations.” Today, there are many women driving the breakthroughs in AI, cybersecurity, digital platforms and IoT. Women are researching, creating, programming and building within all of those spaces. 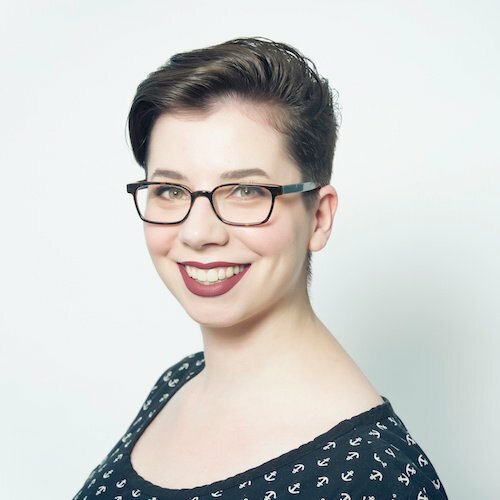 Carol Reiley, for instance, is helping build AI that will power driverless vehicles, while Limor Fried is innovating within the open-source hardware community. And those are just two examples. Innovation in the digital space not only drives technology forward; it also sparks business change. With the rise of terms such as “brogramming” and a long history of men claiming that women are biologically inferior when it comes to understanding math and science, women certainly have an uphill battle to make their mark in the tech industry — but that does not mean we were not participating or innovating within the tech sphere side by side with men. There have always been women like Hedy LaMarr, the movie star who invented spread-spectrum radio, aka the technology that now powers Bluetooth, Wi-Fi and GPS, and has paved the way for the internet of things (IoT). Or Grace Hopper, who helped create UNIVAC (Universal Automatic Computer), the first all-electric digital computer, and the programming language FLOW-MATIC, which is the basis for the widely used programming language COBOL (Common Business Operating Language). How quickly we forget that back in the ‘60s, computer programming was primarily considered women’s work. Back when computer software was written on cards, men regarded the tedious but complex task of organizing and feeding these cards into the computer one by one as something better left to a secretary (i.e., a woman). Once the profession became devalued because it was almost exclusively performed by women, men sought to reclaim it and actively discouraged the hiring of women as programmers. 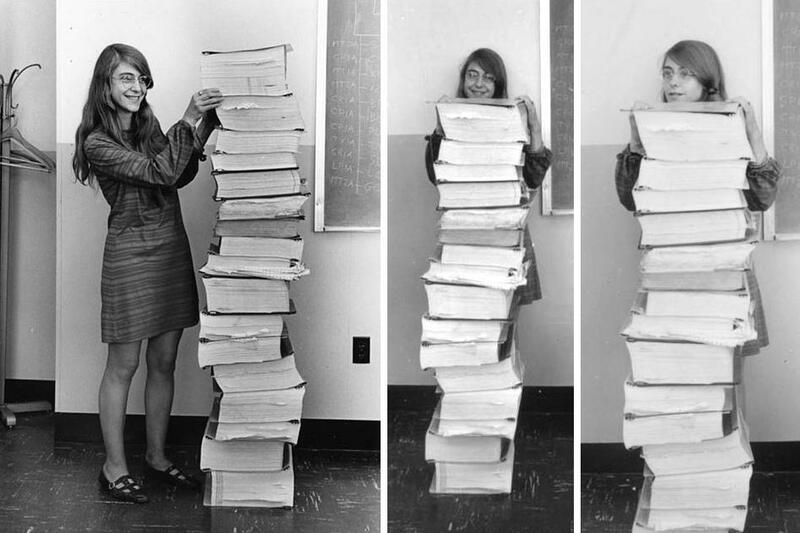 That’s MIT computer scientist Margaret Hamilton standing next to all the code she and her team developed to guide Apollo 11 to the moon. She has since been credited with essentially creating the field of software engineering. While there is valid concern that singling out women in the tech sphere detracts from the merit of women’s work as individuals, there is also the valid concern that, according to the National Center for Women & Information Technology in 2016, women made up 26 percent of the computing workforce — and less than 10 percent of those women were women of color. Our hope is to shine a light on experts and exceptional individuals in their field who happen to be women. Innovation in the digital space not only drives technology forward; it also sparks business change. Disruption is the current startup buzzword, and that would not be possible without new technologies popping up to replace the old ones. And women are just as disruptive as anyone in the tech industry. Someday, perhaps, the gender gap in tech will close enough that women will be equally featured in every list of accomplished individuals, but until that day, we would like to celebrate some of the amazing women contributing to 2018’s digital trends in AI, IoT, cybersecurity and digital platforms. We hope that you will celebrate these women with us, not just for their gender, but for their amazing accomplishments in tech. We’d also love to hear about any and all amazing women contributing to these trends that were not featured here, because there are far too many to list exhaustively.